Students from all over Arizona entered the 2019 AZSFF and we're proud to announce our finalists. These students receive 2 Filmmaker Passes to the Phoenix Film Festival and will have their films shown on the big screen at the Harkins Scottsdale 101 during the Festival. Plus, one of these talented filmmakers will take home the Grand Prize -- a $1,000 scholarship in memory of Phoenix Film Festival volunteer Michael Geffen! The AZSFF Screening will take place on Saturday, April 13th at 9AM at the Harkins Scottsdale 101 as a part of the Phoenix Film Festival. Following the screening, the awards will be announced in the theatre. Tickets will go fast for this event so please purchase early as seats are limited. CONGRATULATIONS TO THE WINNERS OF THE 2018 ARIZONA STUDENT FILM FESTIVAL! Thank you to all of the filmmakers, friends and family who came out to the Arizona Student Film Festival screening at the 2018 Phoenix Film Festival. our middle and high school filmmakers screened their films to a sold out crowd! For his work, Jacob wins the Michael Geffen Scholarship, a $1,000 scholarship to the school of his choice. Oasis is about a man lost in the desert with a very important choice to make. Jacob created the film to have no dialogue and be purely visual. A young man prepares for his one shot at showing the world his talent in Beatboxing. Set on the campus of a suburban middle school, three students encounter man-eating dinosaurs roaming the grounds in Jurassic School. In On Shaky Ground, a girl finds a mysterious and dangerous globe. Will she figure out what to do with it before it's to late? Once again, we had the most submissions we've ever had for the Arizona Student Film Festival! Students from all over Arizona entered the 2018 AZSFF and we're proud to announce our finalists! The AZSFF Screening will take place on Saturday, April 14 at 9AM at the Harkins Scottsdale 101 as a part of the Phoenix Film Festival. Following the screening, the awards will be announced in the theatre. Tickets will go fast for this event so please purchase early as seats are limited. Monday. 9am. Your finalists will be announced! Come back on Monday morning at 9am to see who the finalists are for the 2018 AZSFF! CONGRATULATIONS TO THE WINNERS OF THE 2017 ARIZONA STUDENT FILM FESTIVAL! Thank you to all of the filmmakers, friends and family who came out to the Arizona Student Film Festival screening at the 2017 Phoenix Film Festival. our middle and high school filmmakers screened their films to a sold out crowd! For his work, Connor wins the Michael Geffen Scholarship, a $1,000 scholarship to the school of his choice. THE STEPS is a short documentary on "the steps" section of the National Trail in South Mountain. Angela's film follows a little girl who dreams of being an astronaut -- as long as she doesn't have to take a nap. Gisselle captures the cinematic beauty of Paolo Soleri's vision, Arcosanti, and the surrounding desert. An everyday game of chess turns into an all-out, Game of Thrones-type war in WAR OF THE BOARD. It's tacos. In a movie. We had the most submissions we've ever had for the Arizona Student Film Festival! 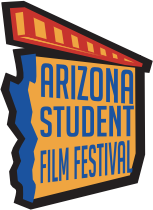 Students from all over Arizona entered the 2017 AZSFF and we're proud to announce our finalists! These students receive Filmmaker Passes to the Phoenix Film Festival and will have their films shown on the big screen at the Harkins Scottsdale 101 during the Festival. Plus, one of these talented filmmakers will take home the Grand Prize -- a $1,000 scholarship! The AZSFF Screening will take place on Saturday, April 8 at 9AM at the Harkins Scottsdale 101 as a part of the Phoenix Film Festival. Tickets will go fast for this event so please purchase early as seats are limited. Finalists will be announced soon! It's the moment you have been waiting for. Who will be a finalist for the 2017 Arizona Student Film Festival? Selections will be announced NEXT WEEK! Submissions are now being taken via DVD or with a Vimeo link! There are now 2 ways to enter your film into the Arizona Student Film Festival. Previously, all submissions had to be sent in to the Festival office on a standard DVD. We understand that sometimes authoring the film to a DVD is the hardest part about shooting a film! So starting this year, we will be accepting submissions via a DVD copy OR via a password protected Vimeo link. Why Vimeo? Why password protected? We also wanted to be cautious of underage filmmakers putting their work on the internet -- especially if using underage talent in the film. By password protecting your film, you ensure only the people you give the password to will see your film. It's step one in protecting your work online. We hope these changes will make it easier for you to enter the AZSFF. Thank you for your submissions! Congratulations to our winners of the 2016 Arizona Student Film Festival! We were so glad that all of our nominees were able to join in on the fun of being a filmmaker at the 2016 Phoenix Film Festival. Congratulations to all of our talented filmmakers! Students from all over Arizona entered the 2016 Arizona Student Film Festival and we're proud to announce our finalists. These students receive Filmmaker Passes to the Phoenix Film Festival and will have their films shown on the big screen at the Harkins Scottsdale 101 during the Festival. Plus, one of these talented filmmakers will take home the Grand Prize -- a $1,000 scholarship! The AZSFF Screening will take place on Saturday, April 9 at 9AM at the Harkins Scottsdale 101 as a part of the Phoenix Film Festival. Tickets will go fast for this event so please purchase early as seats are limited. A ticket link will be at the bottom of this page once the schedule and tickets are available. The AZSFF Screening will take place on Saturday, April 9 at 9AM at the Harkins Scottsdale 101 as a part of the Phoenix Film Festival. Tickets will go fast for this event so please purchase early as seats are limited. Once tickets are on sale, there will be a link at the bottom of this page. You can also get more Phoenix Film Festival info by clicking HERE. It's the moment you have been waiting for. Who will be a finalist for the 2016 Arizona Student Film Festival? Selections will be announced Friday, February 26th. They say that waiting is the hardest part. Well, now that submissions are closed that's all we can do. Wait until the finalists are announced and we get to see who will be screening their films at the 2016 Arizona Student Film Festival. We will announce the finalists in March so stay tuned! The Phoenix Film Foundation is pleased to announce that we are NOW taking submissions for the 2016 Arizona Student Film Festival to be held during the 2016 Phoenix Film Festival. That's right. All of our student filmmakers who are selected as finalists will have their film screened on the big screen at the Phoenix Film Festival! The AZSFF is open to Arizona grade school and high school students. Films must have been made during the year 2015 (calendar year NOT school year) and be under 8 minutes in length. Submissions must be mailed in to the office in DVD format ONLY. After finding a pin on the ground, a young woman uses it to track her daughter's life in photographs, also tracking the love and tragedy that follows it. Two boys, Billy and Freddie, must save New York from a giant kitten created by radioactive cat litter. Candy has been outlawed from Wigwam Creek Middle School. So a student takes it upon himself to ensure that students can still get candy but at a price. Other students are trying to track down the candy dealer. Will they be successful or will inside help interfere? With the help of his assistant, the evil scientist Dr. Poor creates a monster named Scorpazilla. With Scorpazilla on the loose, no one is safe! Can scientist Marie Curie and Super Nuke defeat Scorpazilla before the city is ruined? The complete list of finalists can be found here. Thank you to all of our talented student filmmakers! And while the 2015 Arizona Student Film Festival is in the books, the 2016 competition is just around the corner. Stay tuned for submissions to open for next year's festival! CONGRATULATIONS to this year's AZSFF Filmmakers! The competition was fierce and these 20 young filmmakers came out on top! Students from all over Arizona entered this year's Arizona Student Film Festival and we are proud to announce our finalists. These students will receive Filmmaker Passes and have their films shown on the big screen at the 2015 Phoenix Film Festival. And one of these students will take home the Grand Prize -- a $1,000 scholarship to a school of their choice! The AZSFF Screening will take place on Saturday, March 28 at 9AM at the Harkins Scottsdale 101 as a part of the Phoenix Film Festival. Tickets will go fast for this event so please purchase early as seats are limited. A ticket link will be at the bottom of this page. The AZSFF Screening will take place on Saturday, March 28 at 9AM at the Harkins Scottsdale 101 as a part of the Phoenix Film Festival. Tickets will go fast for this event so please purchase early as seats are limited. AZSFF Announces $1,000 Scholarship Prize! See, we told you it would be worth your while. We are so very excited to announce that the Phoenix Film Foundation will be presenting the winner of our Best High School Short Film with a $1,000 scholarship! That's right. $1,000. And all you have to do is enter. The AZSFF has 2 different categories: High School (grades 9 - 12) and Grade School (grades 8 and under). You pick the category, enter, pay the $10 entry fee and wait. Submissions close Wednesday, December 17, 2014. Sometime in January, we will announce the finalists in each category. Each Finalist will receive 2 Filmmaker passes to the 2015 Phoenix Film Festival where their film will be shown on the big screen at the Harkins 101 during the Phoenix Film Festival -- Saturday, March 28, 2015. The awards will be announced after the screening. NOW TAKING SUBMISSIONS FOR THE 2015 AZSFF!!! The Phoenix Film Foundation is pleased to announce that we are NOW taking submissions for the 2015 Arizona Student Film Festival to be held March 28, 2015 during the Phoenix Film Festival. That's right. All of our student filmmakers who are selected as finalists will have their film screened on the big screen at the Phoenix Film Festival! The AZSFF is open to Arizona grade school and high school students. Films must be under 8 minutes in length. Welcome to the Frequently Asked Questions page of the Arizona Student Film Festival website. We will be updating this page as we get questions. Please read through the FAQ. If you still do not see an answer to your question, feel free to email submissions@phxfilm.com and put AZSFF Question in the subject line. 1. Can I submit more than one entry? Yes. You may. In fact, if your entries truly excel, you may have more than one film as a finalist and therefore have more than one film screen at the film festival! However, you will only get 2 filmmaker passes total regardless of the number of films that are shown. 2. I want to submit more than one film. Can I just do one submission? Nope. One film per submission and entry fee. 3. I made this film last school year when I was in 8th grade but now I’m in High School. Where do I submit it? Entries should be submitted in the category when they were made. Therefore, you submit it in the grade school shorts. 4. I made this film last school year when I was in 8th grade but now I’m in High School and I just did some edits and stuff to it. Where do I submit it? Since the last modifications to the film were done when you were in High School, you would submit this in the High School category. 5. I’m in college. Can’t I enter in the AZSFF? College submissions would be entered through the Phoenix Film Festival. Learn about entering PFF by clicking here. 6. I read the rules and it said that the films couldn't have any adult content or language. Isn't that censorship? Nope. It’s not. We know that filmmaking can be a very adult medium, but this is a competition for grade-schoolers and high-schoolers. We are not saying what to or not to make. We are saying that in this competition, keep it creative, interesting and suitable for everyone. 7. What about one swear word or like there’s this monster and he slashes…. Here’s what we will say: you have read the rules, you know your film so you know if it is appropriate to submit. We can’t make that judgement for you. 8. My movie is 9 minutes and 32 seconds. Is that ok? No. Please cut 1 minute and 32 seconds out of your film. 9. My film is 5 seconds long. Is that ok. Yes. Although, it better be a pretty amazing 5 seconds…. 10. Can I put popular music in my film? You must have the rights to everything in your film. That means any clips we see on the television and music we hear. Therefore, you are better off composing your own music or having a friend do it for you. Music clearances are hard to come by and usually expensive. 11. My friend and I really did this together. Can we enter with both of us? Sorry, you can not. You will have to sit down and decide who will enter it. There is a place in the entry to put credits for additional people who were instrumental in the creation of the film. 12. I did the music on a film. Can I submit it under my name? No. Only the student PRIMARILY responsible for the film (usually the director, but not always) can submit. Teachers who oversee projects may not submit under their name. 13. I have another question, but it’s long. Can I ask you? We will be adding more questions as we get them! Submissions will open soon for the 2016 Arizona Student Film Festival! The Phoenix Film Foundation will be opening submissions for the 2016 Arizona Student Film Festival to be held April 2016 during the Phoenix Film Festival. 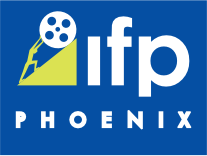 All of our student filmmakers who are selected as finalists will be treated like PFF Filmmakers, receive 2 Filmmaker passes to the 2016 Phoenix Film Festival and have their film screened on the big screen at the PFF! The AZSFF is open to Arizona grade school and high school students. Films must be under 8 minutes in length. All submissions for the 2016 Arizona Student Film Festival must have been made by an Arizona student in 2015. More rules and guidelines can be found by checking out our FAQ. What's going on with the Arizona Student Film Festival?!? We've got some good news and some bad news for you. First the bad news: we will not be having an AZSFF this year. I know. We are sad too. We LOVE seeing all of the cool, interesting and creative films our Arizona students make! That's because we are please to let you know of some awesome changes to the Arizona Student Film Festival. The Arizona Student Film Festival will be resuming in March, 2015 as a special event at the Phoenix Film Festival! Films that were eligible for this year will still be considered for next year. This change will give participants an opportunity to be part of a first-class event alongside films from around the world. Your films will still be participating with only Arizona students, but now on a bigger stage. Students whose films are selected for the new festival will receive two VIP Filmmaker passes to the Phoenix Film Festival which are valued at $250 each! Be patient and keep working on your films. Because let me tell you, it will totally be worth your while! Thank you for your enthusiasm and we hope to see you at the Phoenix Film Festival: March 26 - April 2, 2015!